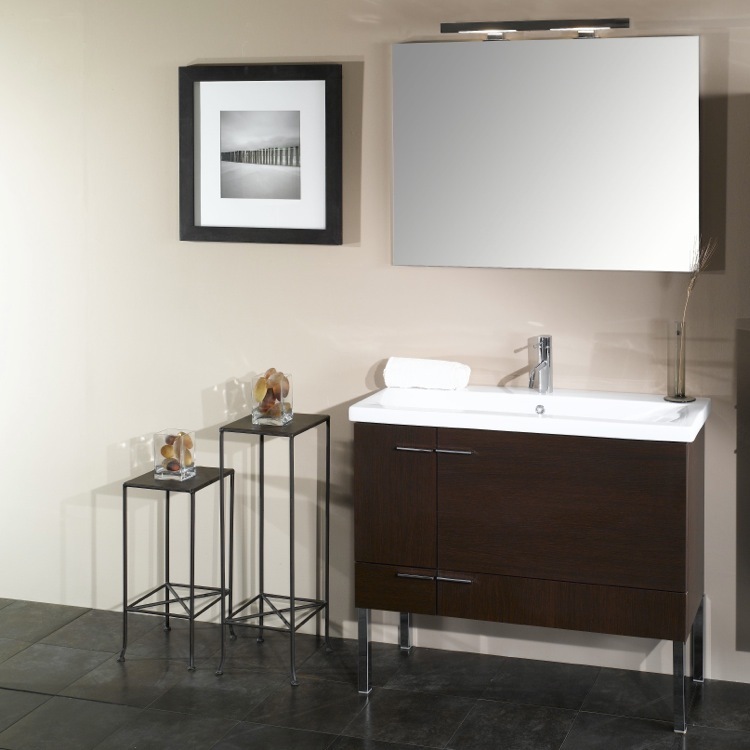 This contemporary set of a vanity cabinet, stylish mirror, fitted ceramic sink, and vanity light will enhance the look of the modern bathroom and last for years. Crafted of waterproof panels, the vanity cabinet with soft close double doors and a drawer is available in five finishes: Glossy White, Wenge, Teak, Gray Oak and Natural Oak. The fitted white ceramic sink gives you four inches of shelf space. The mirror is scratch and corrosion resistant. Imported from Italy. Width: 38.3" Depth: 14.7" Height: 21.7"